My first harmonica was a worn out old tremolo I found in my great grandfather’s old footlocker. My second harp was a no-name harp someone gave me. But the first harmonica I actually paid money for was a Hohner Special 20. And I loved it. Imagine how big a step up it was to go from a no-name to a Special 20! As with most harps, I played and loved it for a while before moving on to other harps. I have always made it my routine to get a different type of harmonica each time I buy a new one. Though eventually, I wrap around to buying one that I’ve bought before, this has allowed me to try all different kinds of harmonica under $100. So far, the best harp out of the box has been a Seydel 1847, hands down. 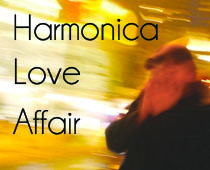 The best harmonica after 6 months of playing is probably a Golden Melody. But the worst harp I’ve ever paid money for, and I mean no disrespect, is a Marine Band. I was so put off by the Marine Band a few years ago that I haven’t bought a Hohner since. Sure, it’s “the original blues harmonica,” but how is that a good thing? I don’t want to drive “the original Ford car” anymore than I want to play a harmonica that’s still using nails to hold the cover plates on. I don’t care if that’s what Little Walter used! It was probably fantastic for 1945, but we’ve made a couple of technological advancements in the past half-century that I feel are beneficial to harmonicas. The Marine Band cut up my lips, ripped out my mustache, and discarded half of the air I put into it before it had a chance to even touch a reed. Seriously. Un. Impressed. But, hey… they can’t all be winners, right? I still have one good ol’ Special 20 in my collection (low-low F for the win!) and one Golden Melody that just won’t die (god bless it! ), but after the Marine Band catastrophe, I just can’t bring myself back to the Hohner fold. I’ve almost bought a Special 20 once… but gave in to my doubts before I reached the cash register. It may be completely unfair, but I feel like I’ve tried what Hohner has to offer and I’m just not excited about it. Well, maybe that can change soon. I think I’ve found something new to try. Just this morning, I discovered that Hohner has made some changes to its Marine Band line that just might make it worth a go again. While surfing through videos, I came across one on the Hohner Thunderbird, their new low and superlow line. This then led me to the Crossover, which uses a new laminated bamboo comb and replaced the nails in the cover plates with screws. “Hm,” I thought, “It almost seems worth a try.” I must say that it has awakened a bit of curiosity in me about Hohner’s new harps. Good video. I know what you mean I started on a blues harp when I was a kid. Played it to destruction then moved on to a Lee Oskar. I bought Suzukis which I loved and after a while decided to try a marine band. I still have it and it serves a very important role, when my two year old wants to join me practicing harmonica it’s all his! I have never enjoyed playing a hohner since I discovered Suzuki and recently the amazing Seydel harps. Frankly I think they are a few years behind some of the competition. All that said I know many people who swear by marine bands, perhaps I just don’t get it. Hi Andrew, glad you found the blog and really glad to hear you’re getting back into the harmonica! Looking forward to your input on the crossover harp. I have similar feelings on Special 20’s. They’re okay out of the box but get a bit blasé after a short time. As for amps and mics, I play unplugged so I don’t actually know a lot about them. Maybe I can do a bit of research for a future blog post. Funny, I was really over Hohner too until I found the Crossover. I started with special 20s, and while I still consider it a good budget harp to learn on, they just don’t sound or feel as good as Suzuki to me, and the quality can be inconsistent. but then I wanted to try a wood comb, and wanted it to be fully sealed, and the Crossover looked to be my best bet for that. I got it with great hesitation, really resenting myself for going back to Hohner. The result? The Crossover is currently my favorite harp. It sounds better and louder than a special 20 by far, brighter and louder than the Suzuki Promaster, and way more comfortable than the Seydel BSS (but anything would be… that harp is just way too big for my mouth, in addition to ripping out my mustache every chance it gets). I find myself playing everything in the key of E these days, just because I’d rather be playing my Crossover than anything else. The one thing I can’t say is if it’s worth the price. It’s clearly better than the Special 20, but it it worth paying so much more? I guess that depends on your budget. I also don’t know if it’s better than the Manji, which is similar and cheaper (I personally won’t buy a Manji since its ability to overblow is a big part of its appeal, and I have zero interest in overblowing, and understand that to gap for overblows you sacrifice some quality in areas that actually do matter to me). What I do know is the Crossover is awesome, and has single-handedly made me stop being wary of the Hohner name. You know, funny enough, I just went out and bought a Golden Melody the other day. I forgot just what a joy that harp is to play. I’ve only had a couple and one blew out of tune pretty quickly, but when I bought this new one I realized what a great harp I’ve had on the back burner all this time. I can get as nice a harp from Seydel, but it costs you at least twice what you pay for a GM. I guess Hohner gets a pass for the Golden Melody. It’s a nice harp. Thanks for writing. I’ll have to check out a crossover. Don’t know much about it aside from the name. Been getting back into the blues harp for the last couple of years after a 10 year hiatus. Special 20s were my go-to harps. After blowing out my C-harp beyond retuning at rehearsal last night, I went to the music store to replace it. No Special 20 Cs in stock, so I decided to try a crossover. Very nice–airtight, correct gapping, accurate tuning. When another key blows, I’ll probably replace it with a crossover. Thanks for the tip, Ted. I’ve been hearing good things about the Crossover. Going to have to give it a try, myself.